I couldn’t be more excited about Elevé’s ready-to-wear line – until today when they announced a rare sale for 4th of July. Use code JULY4SAVE10 to get 10% off the perfect look for your next audition. Capezio is joining in with 20% off the entire site when you use promo code JULY4. Great time to stock up on those Ultra Soft tights. The Dancewear Project wins the award for deepest discount, offering 30% off, plus free standard shipping for orders of $25. If you’ve never tried a Dancewear Project leo, now’s the perfect time. No code required – all prices marked down as shown. We can’t talk discount dancewear without Discount Dance Supply. The long-standing favorite for best-priced must-haves is offering 15% off, plus free shipping for orders over $45 with code FSJULY17. Time to stock up on pointe shoes! Happy Shopping, Dancers & Happy Birthday USA! Way back when, I told you about the original “tendinitis ribbon”, a pointe shoe ribbon manufactured by Bloch, Prima Soft and Bunheads that featured an elastic insert to be aligned with the achilles tendon for protection. Well an even better version is now available from Body Wrappers / Angelo Luzio and also from Prima Soft. I recently tried the Body Wrappers version, and I am sooo in love with this product! Available in their Pointe Shoe Ribbon Kit and their Stretch Pointe Shoe Ribbon Spool, these trimmings are made entirely of a stretchable synthetic material that gives a slightly shiny appearance while providing an excellent balance of support and flexibility. Prima Soft’s version, Extension, is available in either Original (Normal Support) or in Extra Support for high arches and overly flexible feet or ankles. In addition to providing ergonomic support, these stretchable ribbons look lovely with canvas ballet shoes. If you are required to wear ribbons with your soft shoes, you’ll find that the stretchable material looks less contrasting with your tights and shoes than actual satin. They look so good in fact, that I’m using them for my advanced class ballet shoe performance this year. Dear CBT: Help for Broken Pointe Shoes? It’s been eight months since I last bought a pair of pointe shoes and my left pointe shoe is already starting to die. My right shoe is completely fine but my left shoe is becoming soft and hard to get onto for pirouettes. I had my teacher check them, and she said my left shoe was dying and that its a good idea for me to start breaking in another pair. I just wanted to know if their is a way to strengthen just my left pointe shoe to get a couple more months out of them. Thank you! As an added bonus, Maria shows how to find the arch point for your shoes, an important part of proper pointe shoe break-in. However I don’t recommend breaking the shank as she does, but gently bending them repeatedly instead. I wouldn’t want you to think you can get too much time from one pair of shoes though – I went through a pair a week at my training peak. Ballet can be a sadly expensive pursuit! The important thing is to determine if one shoe is breaking in too fast compared to the other one and why. If there is a dramatic difference, it could indicate either an anatomical difference or a technique issue or both. Technique issues, fortunately, can be controlled to an extent. Talk to your teacher about whether you are working optimally on both feet. It’s possible that you are either not “pulling up” properly (shaping the foot with your own muscles and not letting the shoe take over) on the left or that your right foot is not working hard enough. If this turns out to be only an anatomical issue, you may have a technique solution anyway, so ask your teacher about that as well. If there is not a sufficient technique solution to it, you have a superficial solution of purchasing two pair of pointe shoes – one pair with a shank suitable for the right and one with a harder shank for the left – and pairing them with each other so you have two pairs with a harder shank on the left than on the right. You want to make sure both feet are properly supported. Thanks for reading and take good care of those hard-working feet! Dear CBT: Too Late for Pointe? I’m 21 and studied ballet from the age of 4 until 13. However I gave up and returned at 19 but had to stop due to lack of funds! I have my Bloch pre-pointe shoes and my flat ballet shoes which I do practice on, and I’d never buy pointes without a teacher’s instruction. I’m looking to getting into training soon again, but do you think its too late to work for pointe? Good for you for returning to your passion despite setbacks! First, I just want you to know that pointework is certainly not the be-all end-all of dance or even ballet. 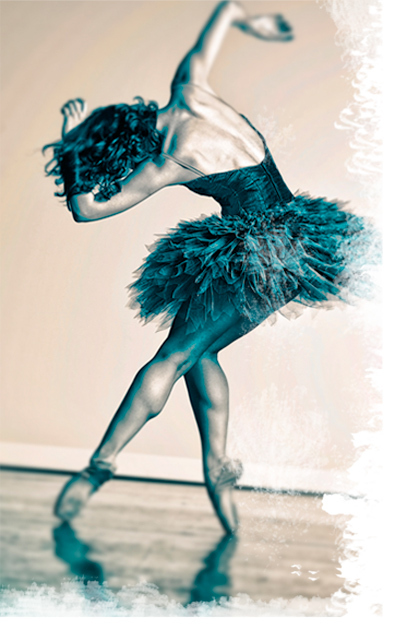 Ballet can be beautiful, striking and extraordinary without pointe shoes. I’m pointing this out because, not knowing your health nor seeing your feet, I cannot guarantee that you are eligible, but I will give you the parameters so that you can get going in the right direction. Provided that a dancer is physician-approved for exercise, the only age-related barriers would really be related to bone strength – too young could mean the bones have not sufficiently ossified, and too old could mean they had reached a point of brittleness. There are other possible roadblocks to your success – genetic predisposition to ingrown toenails, limited flexibility in the tendons and ligaments to make an arch sufficient to get over the box of a pointe shoe and other such issues that are best assessed by a well-qualified teacher and your physician in-person. Provided that you have no such limitations, the most important thing is for your pointe preparation is to get a quality teacher, preferably someone who has taught adults long enough to understand limitations that they run into and how to relay information in a way that makes sense to them. A good teacher for any age group will enforce a minimum of two ballet technique classes per week leading up and for at least the first year of pointe. You should expect at least two years of re-training to prepare, possible more. If you get there in less time, consider it lagniappe. If you’ll go to my website homepage, look on the black menu bar and click Pointe Shoes. Read those articles. Then check out the Adult Beginner Pointe link on my blogroll to read about one adult ballet students foray into her first year of pointe. Finally, create an account at BalletTalk for Dancers, where you will find message boards moderated for professional dancers with forums for adult student technique issues and adult student support. Search those two forums for “pointe” – there are some great threads there. I think you’ll find these resources inspirational and substantively helpful for understanding what to expect as a potential adult pointe student. Let me know if you have any more questions after checking them out! I used to cut my pointe shoe ribbons and add an elastic strip to the spot that landed at the Achilles. The extra flex gave some room for the ribbons to expand and contract going from plié to relevé and vice versa. Thanks to Bunheads Flexors, there’s no need for such arduous work on top of all the attachment sewing you have to do! Flexors come four to a pack (enough for one pair of shoes) and come in two versatile shades of peachy-pink to match practically any pointe shoe. These ribbons are recommended by dance teachers (like me) and physical therapists. The dancer sits on a chair with knees bent to 90 degrees and feet flat on floor. The dancer then tries to make an arch under the metatarsal heads while keeping the toes flat and long, not allowing any curling of toes. Hold for count of ten, repeat 5 times with each foot. This helps strengthen the intrinsic muscles (the small muscles between the metatarsal bones. Place 20 marbles on the floor. Pick them up one at a time by curling the toes around them. Move each marble to a jar and when dropping in the jar, spread the toes apart as widely as possible. Repeat with other foot. Write A to Z with each foot, using the foot and ankle and not the leg to draw the letters. This is a good overall ankle strengthening exercise. Dancers should move their ankle in 4 directions against the theraband. Flex (dorsiflexion), pointe (plantarflexion), sickle (inversion) and wing (eversion). Dancers should first point their foot followed by trying to turn the foot in (“sickle”) against the resistance of the theraband. A dancer should be able to see the tendon just behind the inside of their ankle working. This tendon is the tibialis posterior which is crucial for rising up on the toes. The dancer should do calf raises with their feet in a parallel position, otherwise known as a releve. After barre work, it is good to do 24 single leg releves in parallel on each leg. This will help strengthen the Achilles tendon and calves.